Jessie M. Brown | Littler Mendelson P.C. Jessie has experience defending home care and hospitality employers against complex class and collective action lawsuits involving overtime, misclassification, and other wage-related issues. She also assists companies in responding to wage and hour investigations by the U.S. Department of Labor. 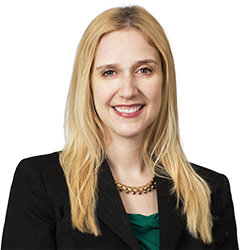 In addition to her litigation practice, Jessie regularly advises clients on a wide variety of proactive compliance measures related to employment law. Jessie served as a judicial clerk for Hon. William M. Acker, Jr. of the U.S. District Court, Northern District of Alabama, and as a judicial intern for Hon. Mary Grace Diehl of the U.S. Bankruptcy Court, Northern District of Georgia. In addition, she clerked for a law firm in Atlanta, was a legal writing teaching assistant, and was the Executive Symposium Editor of the Emory Law Journal.